The gallery, named after its famous address – « Industrialna 11 », is founded in 14 th of October 2009. 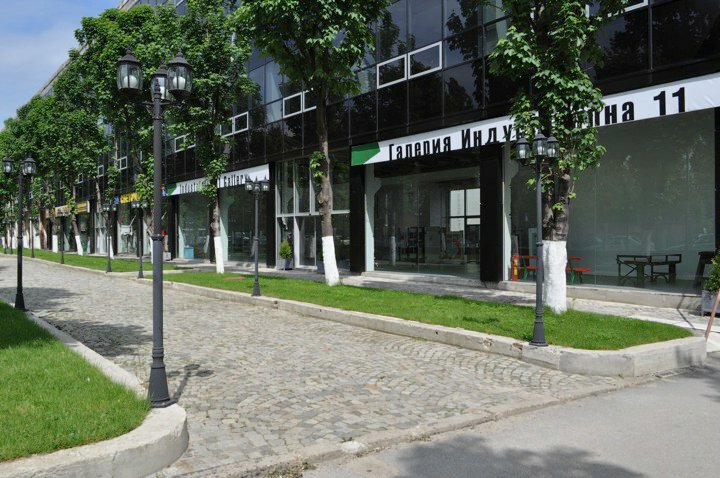 It’s situated in the spacious area of the ancient Fridge factory, now “Vassilev Business City” and with its genuine industrial look and the streams of light that the space attract, the gallery takes a leading place among the private galleries in Sofia. For its short history the gallery had supported more than 15 individual projects and had given a place for expression to the young art generation. From its founding « Industrialna 11 » Gallery works in tight collaboration with the Union of Bulgarian Artists and one of the most ambitious common projects is called « The masterpieces of the Bulgarian Galleries ». The cycle of exhibitions that aims to present in Sofia the inexhaustible richness of the art galleries in the country, to provoke a wide interest and the support of the professionals, connoisseurs, artists, representatives of different circles and spheres. For a third serial year (from 2010) « Industrialna 11 » Gallery is a host of the « Month of the Photography » of the Bulgarian Photographic Academy « Yanka Kyurkchieva ».